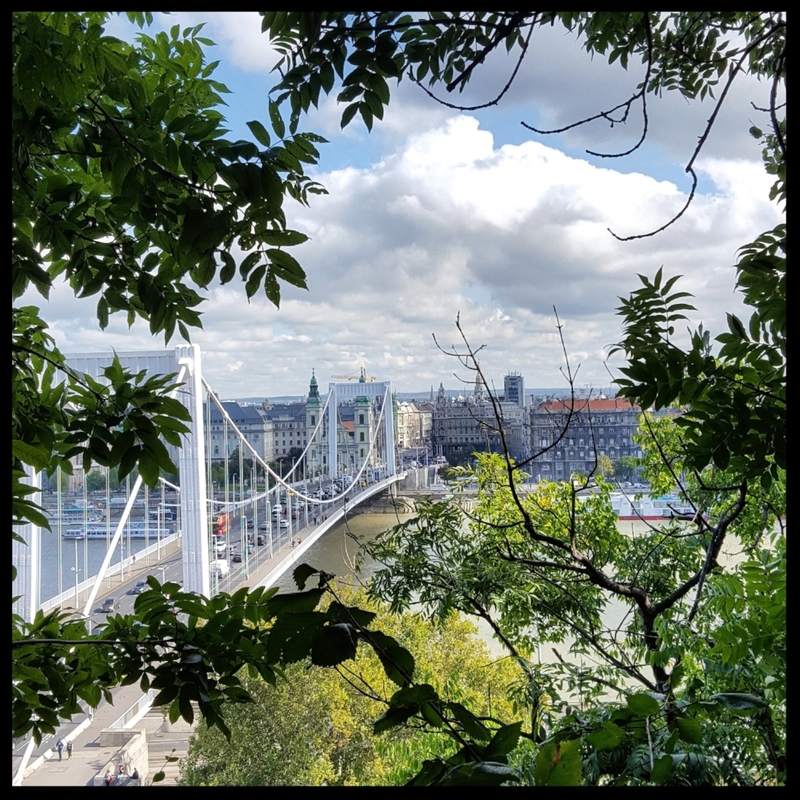 Ah, the belated final installment of our September road-tripping adventure: Budapest! If you haven't already, catch my Vienna recap in Part 1 and Bratislava in Part 2. While we weren't able to escape the chilly rain falling upon Bratislava by driving two hours to Budapest, we did arrive in Hungary's capital by early afternoon. After parking the car, checking in at our hotel, and finding a coffee, we were ready to start exploring. In light of the rain, Johan suggested that maybe we actually give one of those hop-on-hop-off bus tours a try. We've seen these buses in plenty of other cities, but always shrugged off the suggestion as we enjoy walking and often try to avoid blatantly touristy activities, but you know what we've come to accept (and I highly encourage you to do the same if you've not already)? If you're visiting a place you've never been before—you're a tourist. Own it. "Being a tourist" doesn't have to mean fulfilling every fanny-packed, cargo-shorted, clueless-loudmouth stereotype of an out-of-towner, it just means that some sights are popular because they're worth seeing, and some activities are branded and monetized because they're actually a pretty good idea. These sightseeing buses are indeed one of those good ideas. We found our way to a City Sightseeing bus stop, bought our tickets, and huddled under the shelter as we waited on our chariot to arrive. And sure, we couldn't exactly enjoy the open tops of the double-decker buses with the inclement weather, but this really turned out to be a perfect rainy day activity. We saw much more of the city than we would have on foot and under umbrella, and the recorded audio that plays interesting tidbits on loop as the buses make their rounds is of better sound quality than we anticipated. Fortunately, the rain did subside the next day, which was great because Budapest kind of blew me away. I knew people loved this city and I knew it would be beautiful, but I still didn't expect to feel quite so drawn to it once I was actually there. True to our usual form, aside from the sightseeing bus afternoon, J and I did a lot of walking. We strolled both the Buda and Pest sides—Pest is the side with the majestic Parliament building, Buda is the side with the so-called Castle District, with the famous Fisherman's Bastion and breathtaking panoramic views across the city—crossed the lovely (and windy) bridges, and took an occasional break for a sit and a sip. Vienna is certainly known for its cafe culture, but so is Budapest, which is home to some of the grandest and most historic cafes in all of Europe. 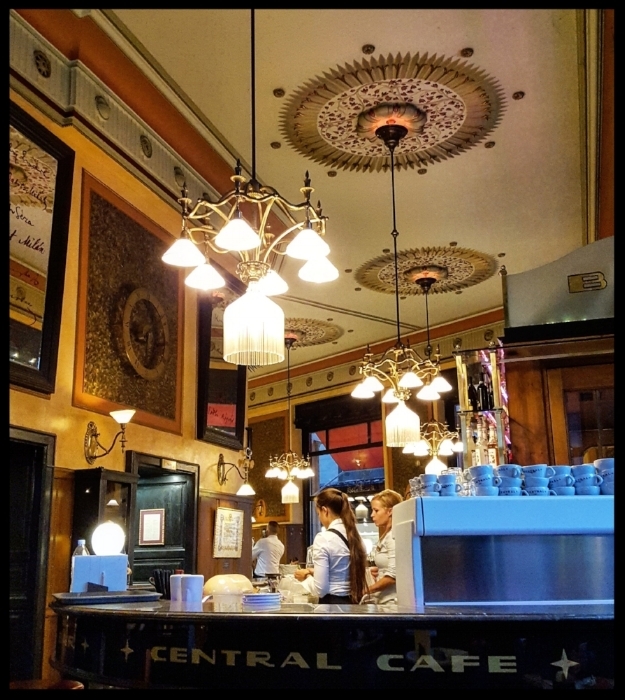 One that we partook of, thanks in part to its close proximity to our hotel, was Central Café, a beautiful art nouveau gem founded in 1887. The atmosphere was perfectly luxurious and while we only had coffee, the cakes we caught sight of certainly looked stunning. 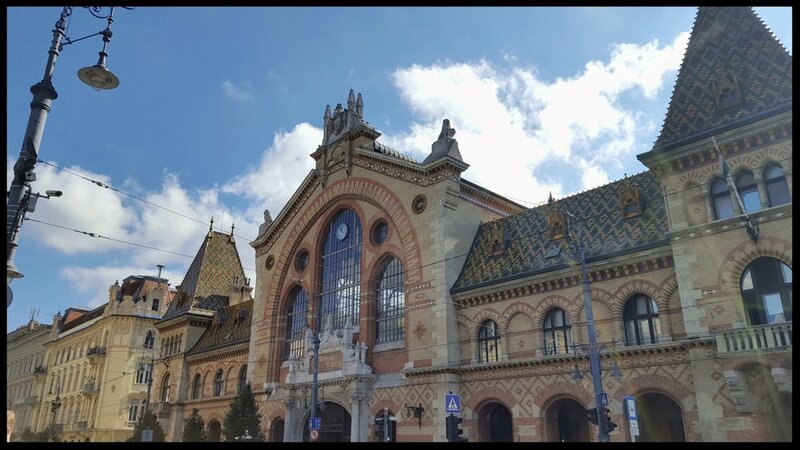 One of my personal highlights of Budapest was visiting the historic Great Market Hall. Located on the Pest side of the river near the Liberty Bridge (the green one! ), the market opened in 1897 and has been schilling fresh produce, meats, cheeses, spices, Hungarian wines, baked goods, and assorted other delicacies ever since. On the second level, there are numerous food stalls, souvenir stands, and handcrafts available. Unfortunately I only captured this criminally mediocre shot of the market building, but you can sort of see how it might be lovely. We first bought a few varieties of salami, but I went back to the market by myself on our last morning in Budapest to properly stock up on all manner of paprika. Just to be clear, we're equipped with hot paprika, sweet paprika, smoked hot, smoked sweet, red flakes and green flakes. Johan: Can we pay with a card? Waiter: Um, yes, but we LOVE cash! J: Okay, well, we can use a card though, right? W: Ah, yes, one moment. Other guy: I'm sorry, my colleague is mistaken, we do not accept credit cards. J: But you have stickers on the door saying that you do, and your colleague just told us that we could. Og: Our machine is broken, you see. We apparently had no choice, so we paid in cash and left the restaurant thinking there must be more to this faux "credit cards welcome" than meets the eye. Our final stop that evening, and our last in Budapest as we'd be departing the next day, was at a fantastic locale called Good Spirit Bar, where our server had a nice chuckle as we recounted our recent experiences after clarifying that yes, we can pay with a card here and that yes, he is quite sure of it. He told us that it's a common scheme around Budapest in order to avoid paying taxes on the sale. Cash can be pocketed, credit card payments cannot. J and I nodded with understanding, clinked our gin tonics and toasted to an overall fantastic trip. The next morning as we went to pay for our three nights in a parking garage, lo and behold, the garage didn't accept credit cards. Nevermind the fact that this was the garage for a large, relatively modern building housing a hotel and several offices—cash only! We actually specifically asked if they had a credit card machine and simply didn't want to use it, but if they did, they were playing their game well as they didn't even flinch at the suggestion. Lucky for those frequently located ATMs after all, as we did have to run out and fetch cash to retrieve our car. Some seven-ish hours later, we were back home in Nuremberg. I'd really love to return to Budapest, perhaps in the spring or summer, and spend another long weekend discovering the city. 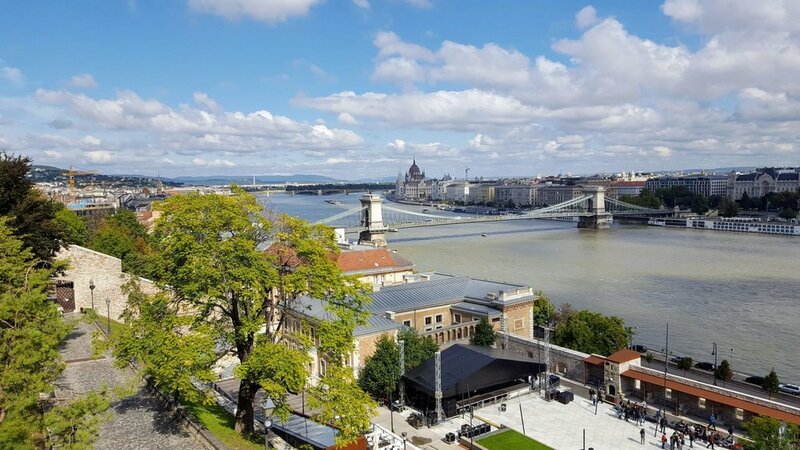 The tree-lined streets with its magnificent buildings are reminiscent of Paris or Vienna, and the whole city buzzes with the vibe of a larger metropolis, yet Budapest feels quite manageable in size. The culture, the history, the glorious Danube... Gyönyörű város!